• Dental factors – such as periodontitis (infection around the teeth) or poor oral hygiene. • Dry mouth – caused by medicines, alcohol, stress or a medical condition. • Smoking – which starves the mouth of oxygen. • Foods – such as onions, garlic or cauliflower, which induce certain odours. However, these effects are only shortlived. 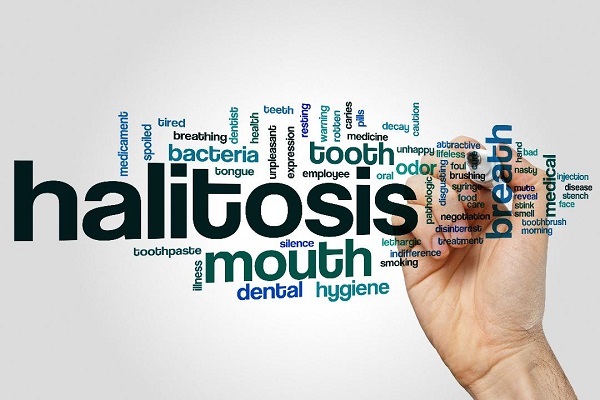 What are the features of halitosis? • Constant sour, bitter metallic taste. What to do if you develop bad breath? If you develop bad breath maintain good oral hygiene for three days. If the problem persists, make an appointment with your doctor to get a further assessment and advice on managing the problem. • Any abscesses that develop – these can be under your teeth and will usually be very painful. • Any difficulty talking or swallowing. • A fever (a temperature over 38⁰C). Your doctor, your dentist and your local chemist. Nutrition), Grad Dip (Micro), MACMSR, MAIMS.